Salford Mennonite Child Care Centers » Ministry Team » Imagine. Play. Learn. Since 1984. 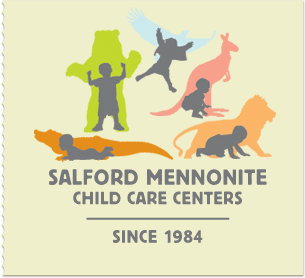 The governing board of Salford Mennonite Child Care Centers consists of a Ministry Team of seven members of the congregation who serve three-year renewable terms. A parent of a currently enrolled child or a parent of a graduate of SMCCC is included on the Ministry Team. The team is chosen through the Gifts Discernment process of the congregation to provide the skills necessary for the sound operation of the centers.